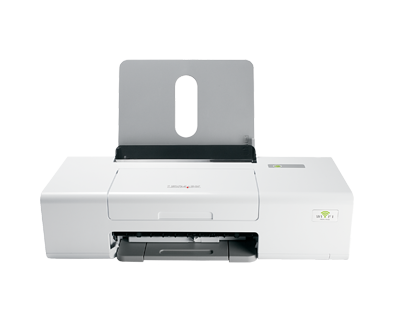 Experience the convenience of wireless printing with the Z1420! This compact colour printer offers fast printing speeds and allows you to print brilliant borderless photos in popular sizes. Professional quality text and graphics; up to 4800 x 1200 dpi on glossy photo paper. Connect with 802.11 b/g wireless network and wireless computer or with USB cable. (2) Non-refillable cartridge licensed for single use only. Return empty cartridge only to Lexmark for remanufacturing, refilling or recycling. A variable amout of ink remains when this cartridge must be replaced. Replacement cartridges (23A, 24A) sold without these terms are available through www.lexmark.com. A4, L, Letter, 2L, 4" x 6", B5, 89 x 127 mm, 13 x 18 cm, A6, Hagaki 카드, 10 x 15 cm, 4" x 8", 10 x 20 cm, A5, 5" x 7"
인치 - H x W x D): 10.13 x 18.07 x 19.34 in.